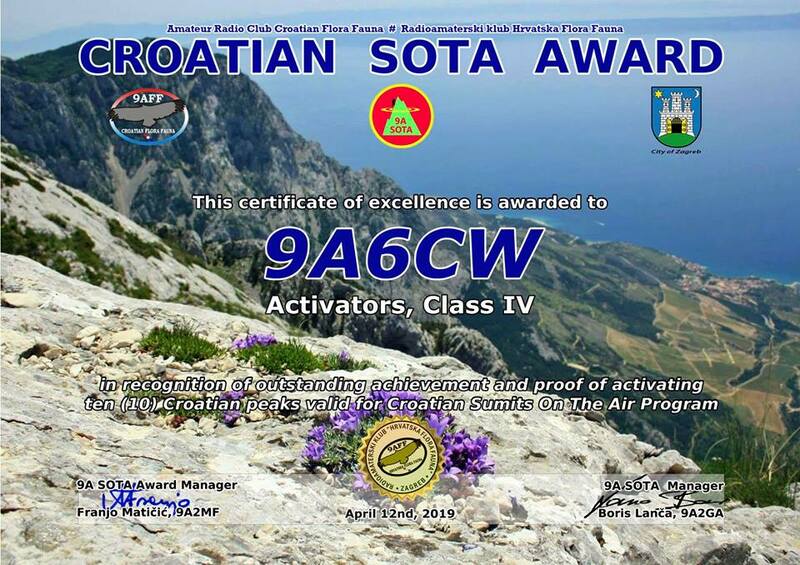 in order to promote SOTA in Croatia, 9A SOTA Association together with 9A1WFF club issues 9A SOTA awards. The awards are available for both chasers and activators. Awards are free of charge in JPG format. 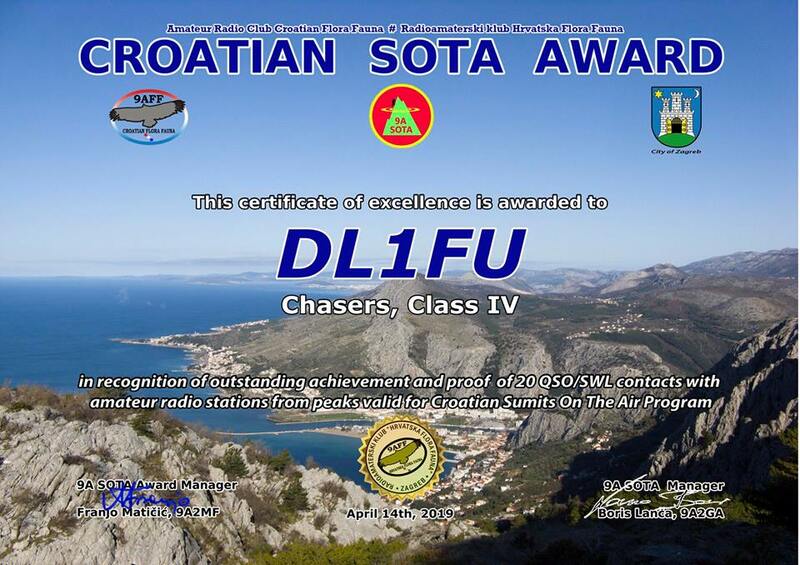 Hopefully SOTA AM will do the same soon!